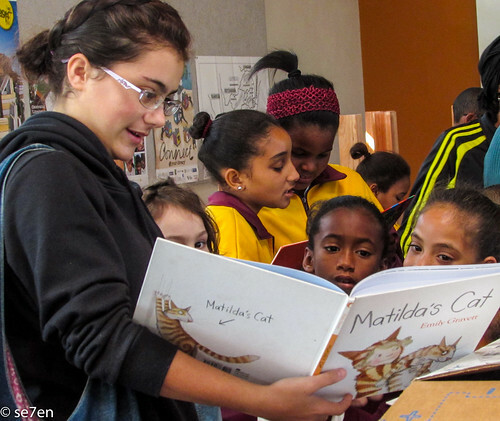 We are so excited that International Book Giving Day will be back with us next week. Every year for the past couple of years we have, with the help of our blog followers, created a library for children in desperate need of one. 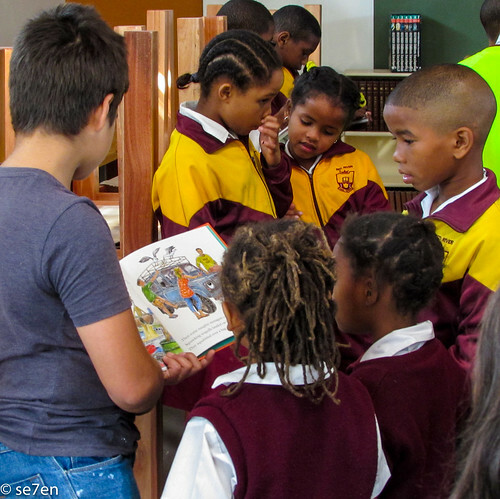 We started really small with a library for rural kids in Lesotho, and then a township school community library; a library in a community centre; a library for a school in need; and last year a library for a school with no books. Each year the project grows and each year book by book our blog followers from all over the world join us and donate books. One of the advantages of folk shopping online is that they can shop for books in one of our local online shops and so buy books for children in their own language. In a country with eleven official languages this is quite an advantage. 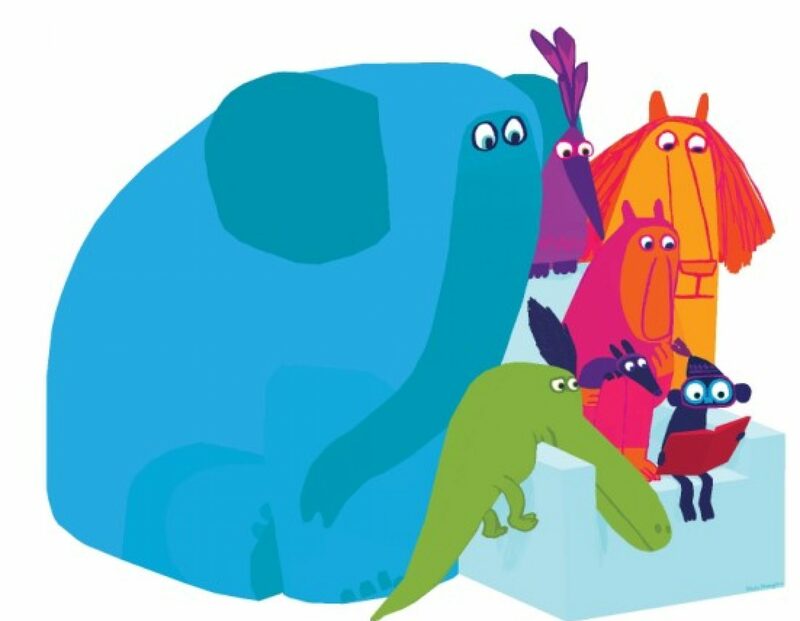 When you are creating a library for children with a unique background, it is critical that they get a wide variety of books to explore and some of those have to be books that they can relate to personally. We ask folk to either buy or mail their gently used books to the school. We want the books to be in fabulous condition, a gift that shines and inspires. This is not the time to clean out your shelves and to get rid of all your old beaten up books, much as your children might have loved those ones. These children have very little that is good in their lives and the idea is that they are inspired by their book gifts. Each gift of a book is so much more than “just a book” a book contains a dream and could be the thing that sparks a child to reach further and dream bigger. Last year we chose to help a school in one of Cape Towns most gangster ridden, high crime areas… an area where living conditions are desperate and unemployment the norm, and every kind of abuse and violence prevails in a culture of frustration. Children cannot play outside for safety sake, there are no lovely grassy patches to play on… school is really their safe haven. This school had made it onto the list of schools in most need and had been allocated new school buildings, with a large secure room in the centre of it, where children could turn to for safety when gang warfare got out control. This central building was chosen to be a library, and the walls had bookshelves around the edges. Unfortunately, the project funding stopped at that – there were no books to be found. How disheartening is that? A library with no books in it and a place where the children spent a lot of time together. We challenged our readers to fill the book shelves and over a period of a month or two and book by book the shelves were filled. Our followers went beyond the call of duty. To showcase the school and keep it top of our followers thoughts we blog about the project for a couple of weeks. We get to see the state of their present library as we begin the project and then ask teachers to interview the children. Do the children have a favourite book, or a favourite character, we ask then about their hopes and dreams… place they would like to visit. For many of these children, that live in the heart of the City of Cape Town, a city surrounded by the ocean, they have never been to the seaside and yet they can dream of exploring the world. How much richer would those dreams be if they were inspired by good stories. 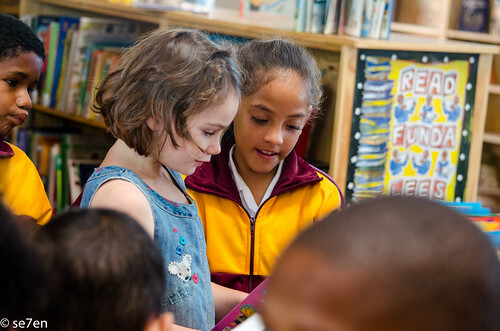 The life experience of the children is limited to what is immediately available to them and books could quite simply open up the world for them. There is a time during every project that we lose heart and think the books might not be rolling in fast enough and what if after all the promotion and the call for books none arrive. And yet somehow the books do roll in, one or two at time arrive and they slowly but surely become a library. Most of the books get delivered directly to the school, but friends dropping by tend to drop books off too and we pop them into boxes in the garage. Last year on delivery day we hauled all the boxes out of the garage and we took piles and piles of books across the city, well over a thousand books were delivered and shared with the children it was quite a magical experience, there were tears on both sides. I think the point is, a gift of one or two books really does add up to a library in a very short time and book by book we can change lives through an event like International Book Giving Day. 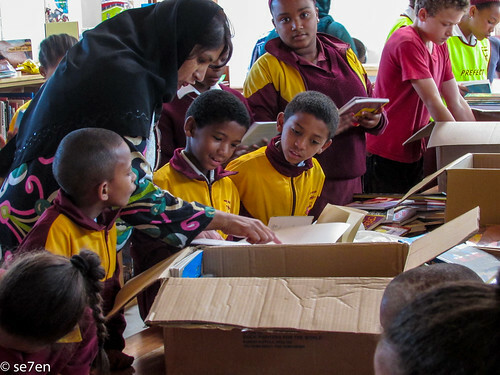 We are so excited for International Book giving Day next week, when we will be launching our new library project. I know – and they are launching a new library for 2017 too! Previous PostPrevious Are you ready?